 2018 will be an eye-opening year for Capricorns, giving you a revelation about how the world functions. There will unavoidable financial expenses, so plan your budget and do not go on a splurge. You may become concerned about your financial stability, but all of a sudden you will get aid from abroad. At times, your health that you have long been taking for granted, will have to be attended to. At work, you will gain respect through meticulous completion of new projects. Remember to not get involved in any conflicts. Students will keep a keen interest in studies. At home, things will be smooth and comfortable. Minor misunderstandings with your significant other are possible, but after October the spark in your relationships will rekindle. All in all, a year to improve your weaknesses and succeed.